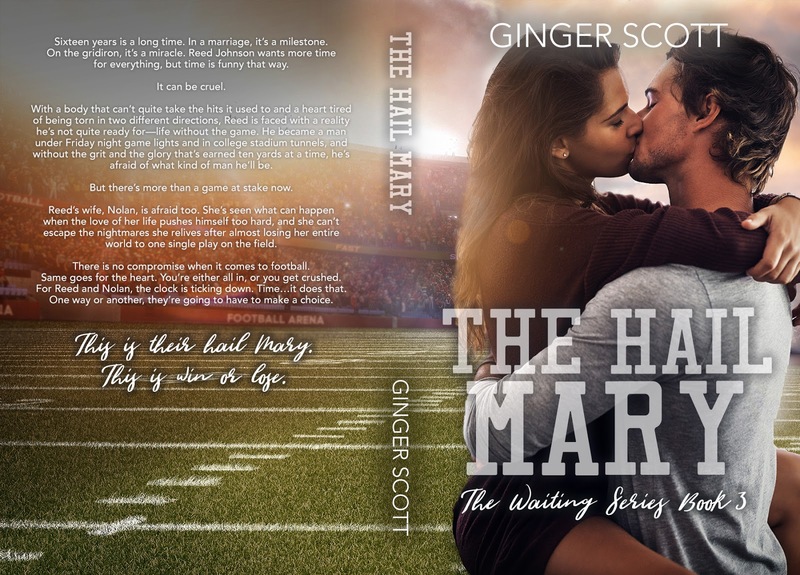 Are you ready for a peek inside The Hail Mary by Ginger Scott??? One-Click the first two books in this amazing series today and preorder your copy now! The Hail Mary releases January 18th! Behind us, my brother’s voice bellows over some touchdown I’m sure he’ll tell me about the minute I step inside. For as much as I love this game and it gives me life, I really hate talking about it like a fan. It’s like seeing behind the scenes at Disneyland—magic gets lost. I know Nolan won’t want to talk about the Sunday games. “You wanna go for a walk?” I say without giving my brain a chance to stop my mouth from asking. Nolan laughs at first, but when she sees I’m serious, she glances over her shoulder then looks back to me. I nod toward the driveway, and we both step at the same time. As much as the area has grown, our family’s place is still set off from most of the rest of town. That won’t be the case when we sell off the back acreage, but it’s the right developer and the right time. Still—I’m going to miss the lonely feeling of our main road one day. Lonely isn’t always a bad thing. Sometimes, it clears your head. “Please say this wasn’t the tattoo boy that made her go to the desert party,” I say, feeling my fist tighten in my pocket just at the mention of him. “No, Reed. 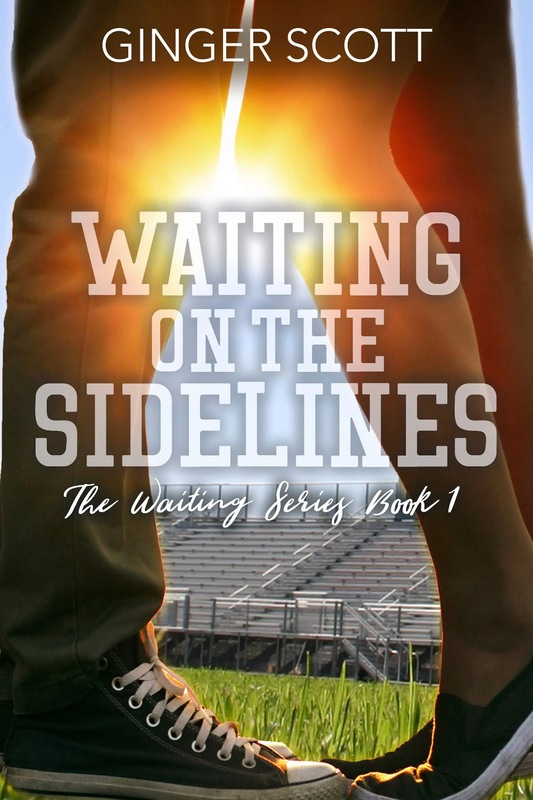 You’ll be glad to know that this boy is a quarterback,” she says. “Ah hell.” I roll my eyes and look up at karma. I want to finish her sentence with “and he’s dead,” but that’s just my daddy blood boiling. “She’s a freshman. And she’s not allowed to date,” I say instead, knowing that’s not true and won’t be enforced. Nolan lets my rant go without acknowledgement, so we walk a little longer in silence, our legs turning on instinct to head into town. “Is he good at least?” I grumble my question, and when she doesn’t answer me right away, I glance to my right to catch her grin. I stop walking and she takes a few more steps away from me before turning and walking backward to face me. “I’m kidding…” She points at me and laughs. All I can do is shake my head. My relief is short, though, because she’s only kidding about that last part. “His name’s Bryce. He’s a nice kid. Just a little…misguided.” Her eyes dance on mine with that word, the same one her mom used to say about me when we were in high school. “I’m going to hate him,” I say, catching back up to her stride. “How’d they do at state last year?” I ask. She doesn’t say it out loud. It’s in the expression she wears, mouth higher on one side and eyes lifted. My daughter is dating a mini me. Damnit all to hell. The sun is getting higher, and I know Nolan’s starting to feel the heat on our walk, so I offer to turn around, but she insists we keep going. I don’t fight her on it because these roads have a healing power to them. It’s why Nolan wouldn’t let my dad sell everything and move into a care place, why she moved in and why her and I both agreed this was where we wanted Peyton to go to high school. We can afford for my dad to be anywhere, which means we can also afford to bring therapists and doctors to us. This little piece of our history is too important. The press box comes into view and the scent of barbecue hits my nose at the same time, making me salivate. “It’s homecoming week.” Noles flits her gaze to me for a few seconds, and a thousand memories flood in. I’d give anything to get a redo on some of our school dances. On homecoming, especially. That’s why she was alright with the heat. She knew this destination would scratch at my soul. It does the job. “Come here,” I say, slowing down my walk as she gets a few paces ahead. She turns to face me and I reach out my hand. Bashful eyes haven’t aged a day, I swear to God. Her mouth curves in suspicion—as it should. I curl my fingers, gesturing for her to take my hand, and my head tilts to the side. “Come on, I won’t bite,” I say, and her head turns a fraction to the right as her eyes dim. We stay in this standoff for a few seconds, eyes locked and every chase in our past flowing through our minds. I don’t mask it well, and when I reach for her she squeals and takes off in a sprint toward the field. “You know I’m going to catch you!” I call after her as she rounds the fence and swings the gate closed behind her in an effort to slow me down. I grab the top and swing my legs over in a jump, a little impressed with myself when I don’t biff the landing or get hurt. Noles glances over her shoulder, her long hair a twisted mess that covers most of her eyes, but she still sees me. Her laughter gets wild, this giggle that’s so damned reminiscent of the school girl I fell for two decades ago. We make it to the track and she slows up, giving in for my arms to lift her up over my shoulder and walk her the rest of the way into the end zone. I spin her a few times until I’m dizzy and then I let her body slide back down to the damp grass, my arms still around her.